These images are great to use for any lessons, activities, etc. for Black History Month. 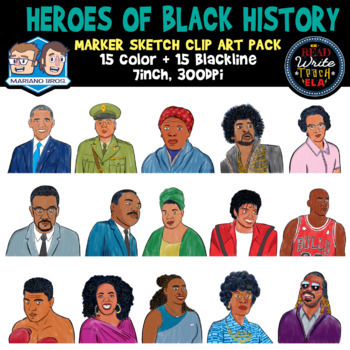 Perfect for Teachers Pay Teachers sellers to use in their products or just for teachers who are teaching about these heroes in their classes. All original art is done by Mark Mariano at Mariano Bros.com.